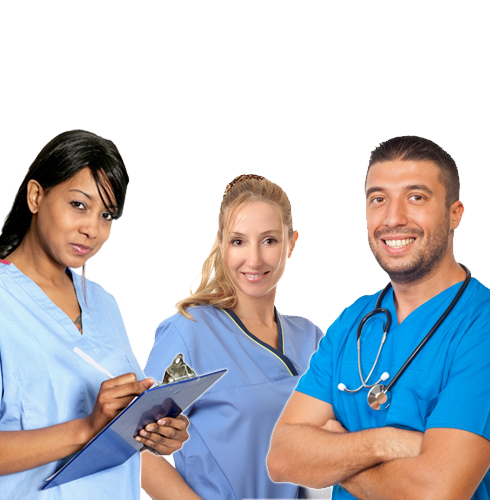 "Healthcare Staffing with YOU in mind! Click APPLY NOW above to get started!" "I have worked for Staff America, Inc. for 2 years now. The personal attention that I have received has afforded me new nursing opportunities and I have gained valuable experience..."
Our vast experience in the healthcare industry enables us to get the job done right. We are committed to finding innovative solutions to meet our healthcare professional's personal and professional goals while supplying a quality workforce to the facility and alleviating administrative burdens while maintaining quality care. We are passionate about what we do! We simply love what we do. Healthcare Staffing with YOU in mind!